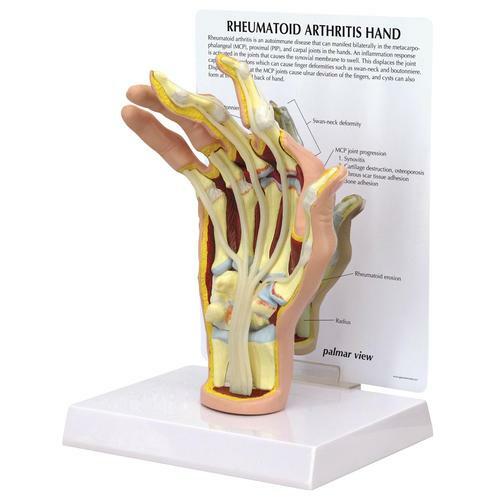 The Rheumatoid Arthritis Hand Model (RA) is a full size right hand with cutaway views to reveal the effects of rheumatoid arthritis on ligaments, flexor and extensor tendons, muscle, cartilage, bones, synovial membrane, and joint spaces. 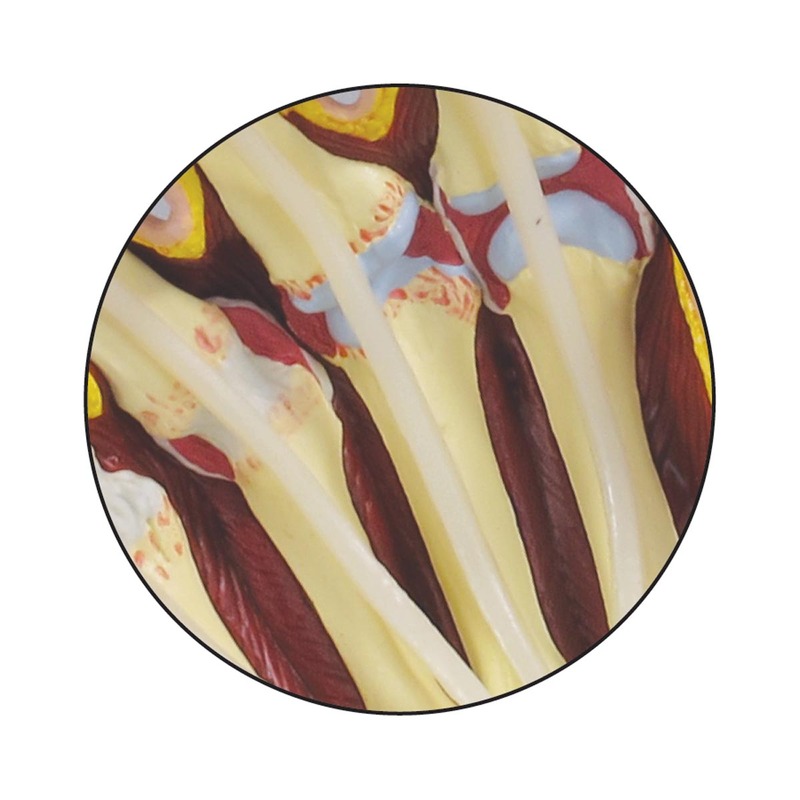 A cross-section of the metacarpophalangeal joint capsules shows progression of the disease, including synovial swelling, erosion, and degeneration. Swan neck and boutonniere deformities are depicted on the second and third phalanges, respectively. 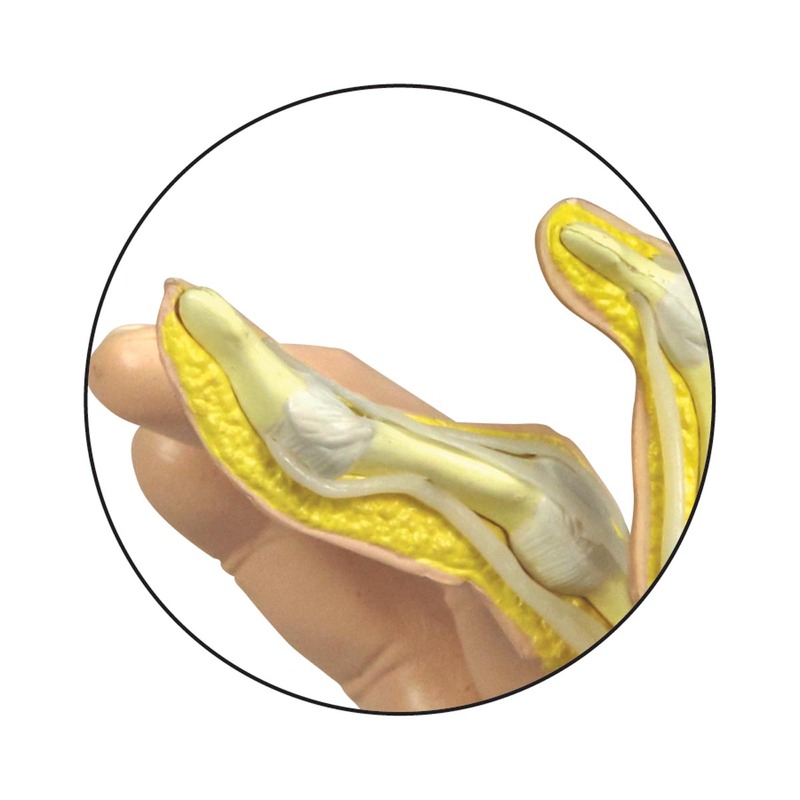 Flexor tendons can be lifted for better viewing of carpals. Model size: 6 x 3.2 x 7.8"